You know, sometimes when I am typing and I don't get a comment, I feel like I am talking to an empty chair in front of a huge audience. I don't know anyone who has done that recently, but it sounds immensely familiar. That's where the Central City Census comes in. I know I am getting an audience through the various votes each poll gets. I thank everyone for their participation each and every month. Let's look at August's results. Where do you normally buy your games? August's Central City Census asked the really tough question: where do you normally buy your games. The majority of votes were split between online retailers and video game retailers like GameStop. I honestly get my games through Best Buy, and then I occasionally order them from Amazon when I have the money. We couldn't quite hit 100 votes this month, but that doesn't bother me whatsoever. I appreciate any and all votes. Now it's time to check out September's census question. This generation hasn't been the best for console longevity. I'm not talking about relevancy or getting support 6+ years into the generation. No, I'm referring to how long a console physically stays alive. Between the Xbox 360's Red Ring of Death and the PlayStation 3's Yellow Light of Death (gamers really need to be more creative with their names, no? ), consoles were dropping like flies. Even my Nintendo Wii died, it didn't turn on anymore and needed to be repaired/replaced -- a first for a Nintendo console of mine. September's Central City Census asks how many consoles have died on you this generation. The poll closes October 1st. As promised, two new characters for Superbot's PlayStation All-Stars Battle Royale (I'm going to get sick of typing all that out soon) have been revealed for PAX East: Nariko and Sir Daniel Fortesque. I'm sure Fat Princess was starting to feel lonely with being the only female entrant on the roster. No longer with the introduction of Heavenly Sword's Nariko. And make room for MediEvil's (don't feel bad if you don't know the series) skeletal being, Sir Daniel Fortesque. There's no bones about it - this is a nice addition to the cast of characters for this party fighter. 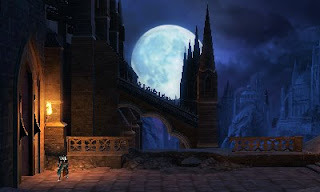 Though the game was delayed to 2013, Castlevania: Lords of Shadow - Mirror of Fate (mouthful) isn't being shy about showing itself off to the gaming public. Check out seven new screens of the game. I'm all for 2D Castlevania, so I have a fair interest in this title. For the past two weeks I have been listing what I perceive to be some of the greatest Nintendo DS games of the portable's robust library. We have now reached the third week and third set of ten DS titles. By the conclusion of this piece, we'll be more than halfway through this exhaustive list. If you somehow missed a previous part, check out Part One and Part Two. When all of your preparations are complete (and you remember that list contains North American releases only), feel free to begin perusing this third list of ten DS titles! Let me get this out of the way: I love and lost many hours to the original Animal Crossing. 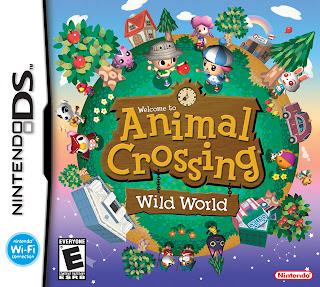 Well, technically the original Animal Crossing was the Japan-only Animal Forest, but I digress. 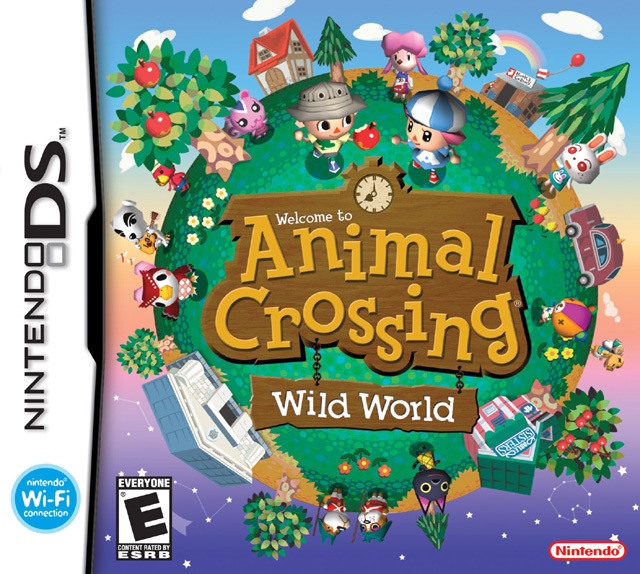 Animal Crossing: Wild World has the same basic premise of that the series is known for. You start in a randomized village without a home to speak of. An entrepreneur named Tom Nook gives you a shack that you have to pay off. Bells, the currency of the series, is earned through completing tasks for neighbors, selling off furniture and other housing items, catching fish, and other means. 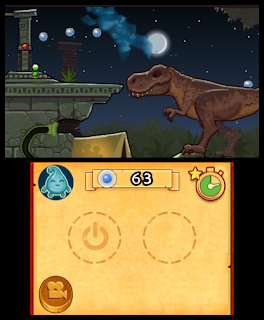 Wild World utilizes the DS system's internal clock to give players a real-time experience. Night, day, and the seasons pass just as they do in real life. (Of course you can cheat by changing the clock yourself.) 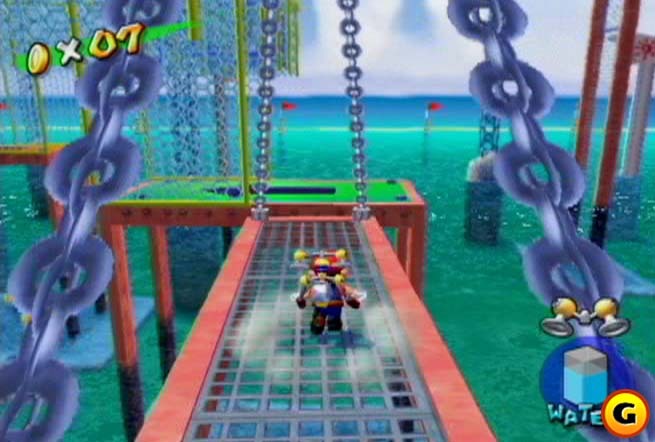 This entry brought something totally new to the franchise, too -- online play. Many hours vanished telling visitors in my town not to mess anything up. Yeah, I'm that big of a perfectionist and prude. Wouldn't it be lovely if life worked the way it does in Elite Beat Agents? Say you have a very critical moment in your life. It's so difficult and vexing that it almost seems impossible to deal with. Enter the Elite Beat Agents who would dance and cheer you on until you solved your problem. Elite Beat Agents is a spiritual sequel to Osu! Tatakae! Ouendan. 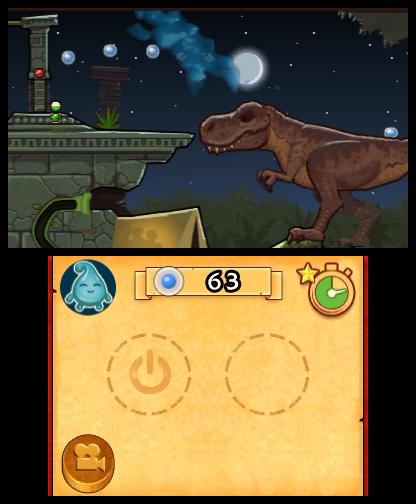 Both games revolve around the same type of gameplay: you touch, tap, and slide the stylus on markers in rhythm with the music. 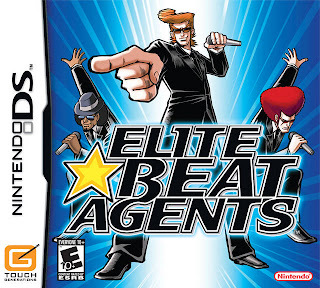 Now, you can rightfully complain about the music of Elite Beat Agents being covers and not the original versions, and you might have a case regarding the song selection. Regardless, the game is massively marvelous in its simplicity, yet deep enough to feel rewarding. Playing through Chicago's "You're the Inspiration" and not feeling the urge to cry manly (or normal) tears means you must have no soul. Perhaps there's some hyperbole thrown in there somewhere, but you get what I mean. 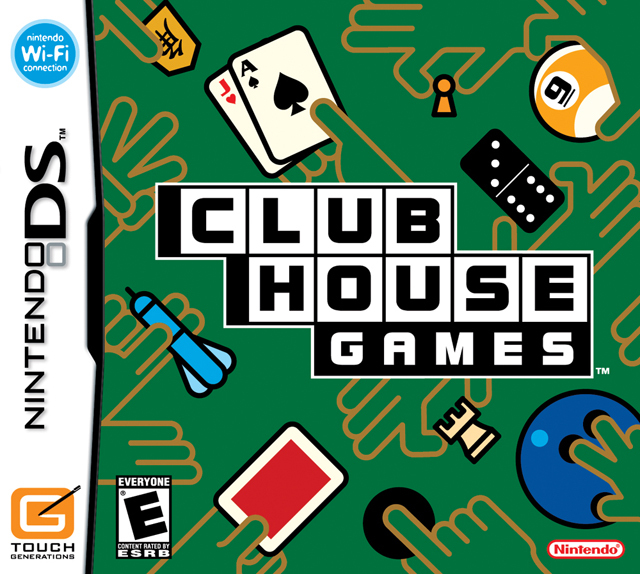 Known by 42 All-Time Classics in Europe, Clubhouse Games is another entry in Nintendo's Touch Generation line of games. Of the 42 classics, all were divided up into several categories such as Card Games, Action Games, Board Games, Variety Games, and Single Player Games. If you didn't like one game, you were bound to like another. 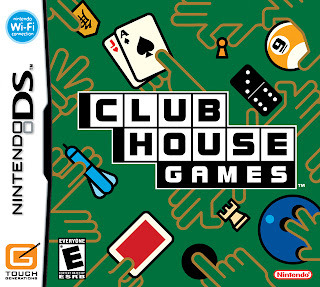 It seems with Clubhouse Games there is always one specific game that a person enjoys the most, whether it is Old Maid, Texas Hold 'em, Hearts, Checkers, Chess, Shogi, Billiards, Bowling, Darts, Solitaire, or any other activity. 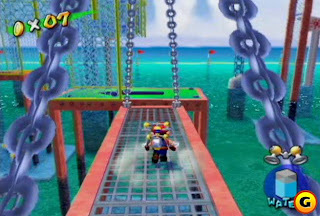 The single-player mode gave players stamps for completing games, but the real draw of Clubhouse Games was the multiplayer functionality. The original Japanese release did not receive online play. 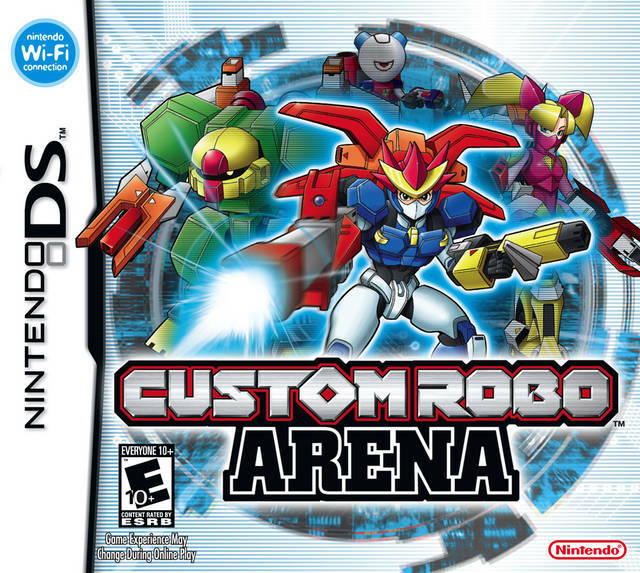 The North American and European releases did at launch, allowing strangers and friends (with friends you could write messages a la Pictochat or more recently Swapnote) to play many of the fun diversions worldwide. 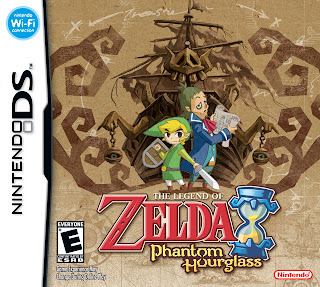 Featuring one of Link's greatest companions in Captain Linebeck, The Legend of Zelda: Phantom Hourglass seems to be getting revisionism on just how good the game was. At the time of release, critics heralded the game's unique touch screen-exclusive control scheme. 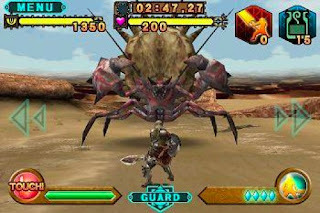 Players tapped the screen to guide Link around, slashed enemies to have Link swipe his blade at them, and other feats that felt really nice with the sole control option of touching. Now, to be fair, some critics then did complain about how Phantom Hourglass had a more casual approach than past Zelda entries. However, this game did remarkably well because of that approach, in my eyes. I greatly enjoyed the new control method, using old faithful items like the boomerang in new, interesting, and never-before-seen ways, I adored sailing the Great Sea, and I liked the structure of the game. 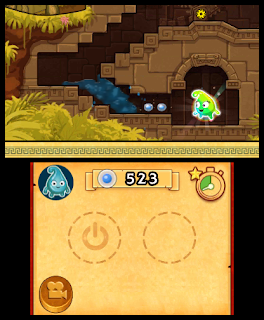 Needing to return to the Temple of the Ocean King was an interesting idea. I can empathize with those who didn't care for the backtracking, however. 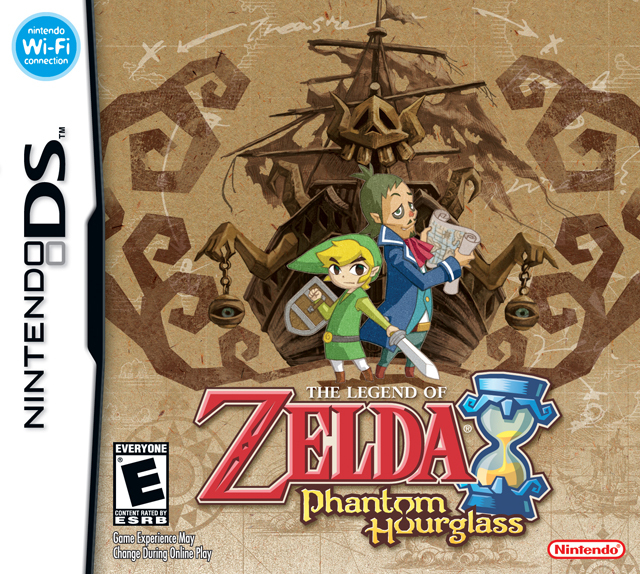 Nonetheless, all this writing about The Legend of Zelda: Phantom Hourglass has put me in a wonderful mood to play the game again! 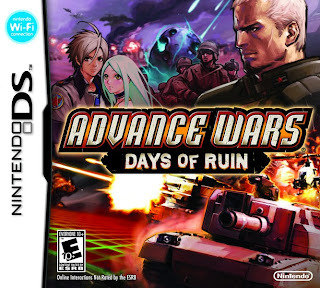 A shake up for the Advance Wars series, so to speak, Advance Wars: Days of Ruin introduced a completely standalone story and cast of characters from previous entries. It was a post-apocalyptic world after a global meteor shower pelted the planet. This made for a grimmer game than what fans were used to. New to the Advance Wars series (aside from the new tone) was the ability for units to level up and increase their stats. However, it is important to note that these increased stats don't carry over through missions. Each missions starts you out with a new batch of units to work with. Perhaps most interesting in the new bullet point department was the addition of a series first - online play. Players could not only do battle with one another over Wi-Fi, but they could exchange custom-made maps. While War Room, a series staple, was omitted from Days of Ruin, I still find the game to be a competent entry in the franchise, despite its forced darker tone. 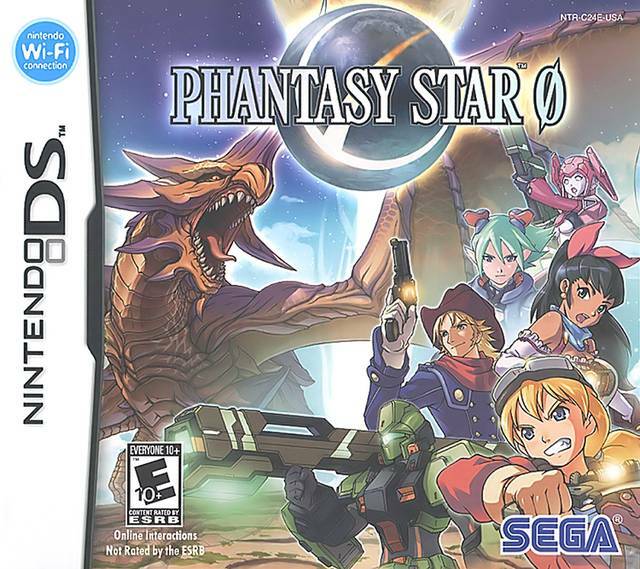 Borrowing elements from past Phantasy Star games such as the gameplay workings of Phantasy Star Online and the ability to play a full-fledged story in the offline mode just like Phantasy Star Universe, Phantasy Star 0 was an original Phantasy Star experience exclusive for Nintendo DS owners. (I think I said "Phantasy Star" enough times in that first sentence to fulfill my quota for the day.) The game had over 300 different weapons of varying types like swords, guns, and taking a page from Squall Leonhart, gunblades. 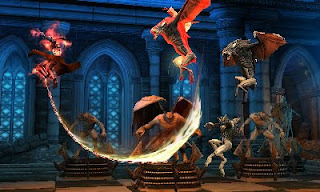 Character customization allowed for some diverse creations, and those could be put forth into the game's entertaining online mode containing Free Play, Play With Friends, and Play Alone. 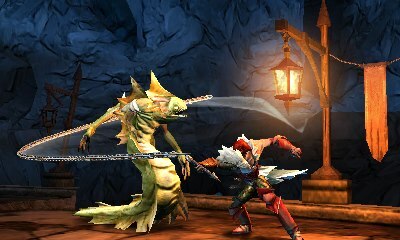 There's nothing I love more than some good old fashioned monster hunting, dragon slaying, and boss bashing. 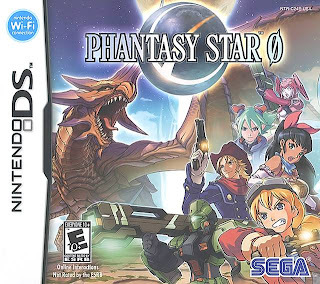 Phantasy Star 0 certainly scratched that itch for me when I played the game several years back. If you have friends who love the series like I do, arranging and participating in online games is a blast. I already listed Kirby: Canvas Curse on this list of terrific Nintendo DS titles, and you can be certain that this won't be the last we see of the pink puffball enjoying his 20th anniversary this year. Regardless, like Canvas Curse, you don't actually play the game utilizing traditional controls. Nope, no face buttons, d-pad, L and R. Banish those thoughts from your mind right now. Kirby Mass Attack involves the touch screen solely. 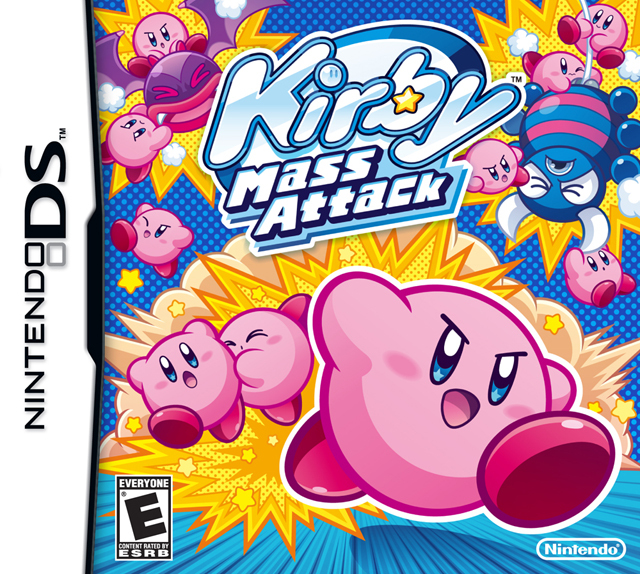 The mass in Mass Attack refers to you controlling up to ten Kirbys (you begin with just one), tapping foes, chucking Kirbys to high places or as projectiles, and other feats. Through eating fruit, your militia of Kirbys grows. When a Kirby is attacked, he grows blue. If that unit is hit again, they grow wings and start flying away. 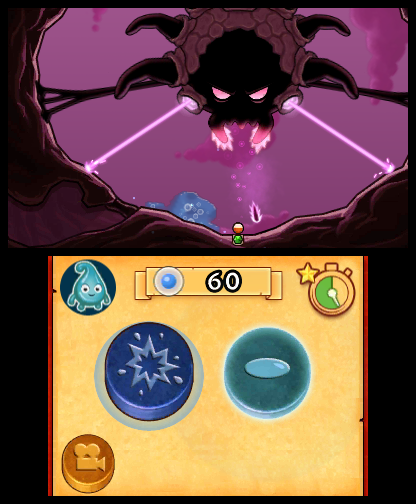 Only through tossing another Kirby up to save the gravely injured pink blob. 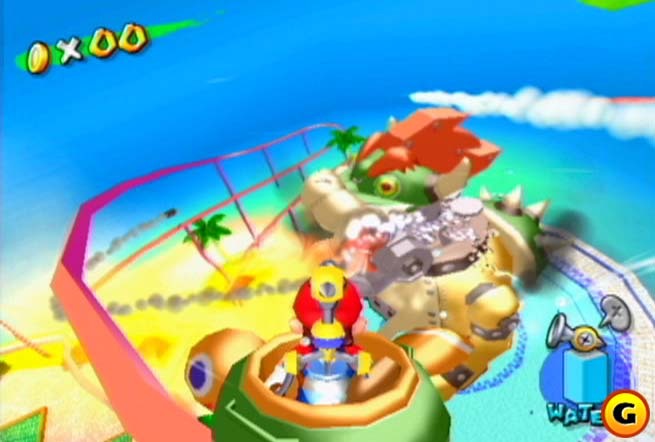 What's awesome about Kirby Mass Attack is that not only is there the story mode to trek through and enjoy, but through gathering hidden medals, you can unlock engaging mini-games like pinball, an RPG romp, and much, much more. 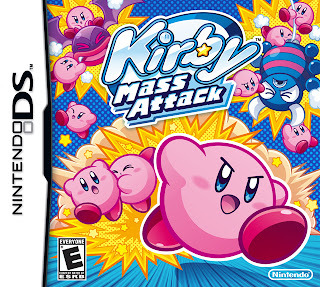 Kirby Mass Attack is a massively worthy game for any respecting DS owner's collection. A list of the best games on a Nintendo handheld just wouldn't be a credible list without a Pokemon game (or games in this case) on it. (Though feel free to argue if this is a credible list or not, regardless.) Now, we pretty much all know how Pokemon works. You start off as an unsuspecting Pokemon trainer in a rural town. Your local professor gives you the choice of three starter Pokemon, and you begin your adventure to be the best like no one ever was. But new to this generation of Pokemon games is a seasonal cycle (with some areas only being able to be visited during a specific season), updated visuals for an extra graphical bang to the eyes, new Pokemon battle types like Triple and Rotation, and Pokemon musicals (yeah, that last one isn't that spectacular). Regardless, I find Pokemon Black and White to be some of the most complete games in the series's outstanding history. 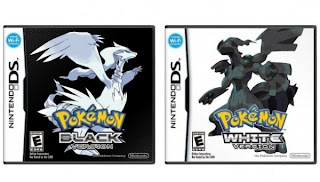 As with so many games on this week's batch of ten DS games, this duo of Pokemon games also featured online play with such things as Pokemon battling and trading. 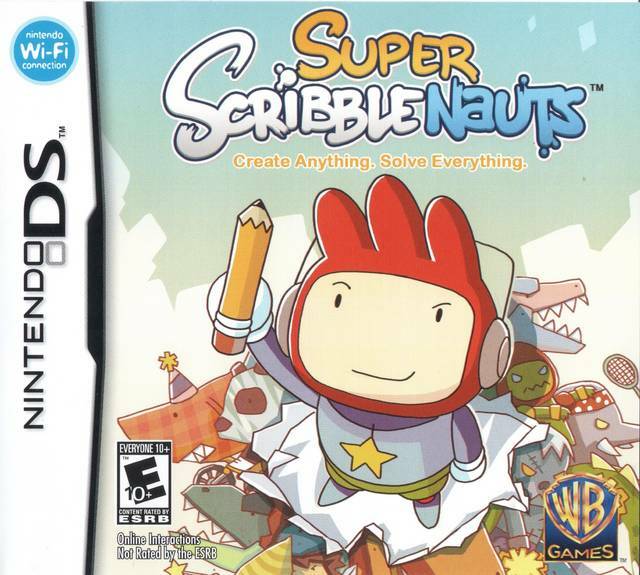 How is it best to describe Super Scribblenauts? 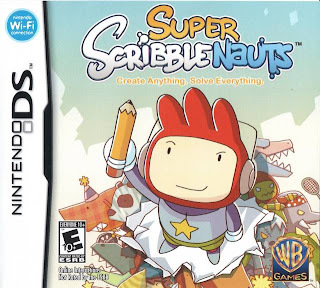 Perhaps it's best by saying that it is the potential of the original Scribblenauts fully realized. 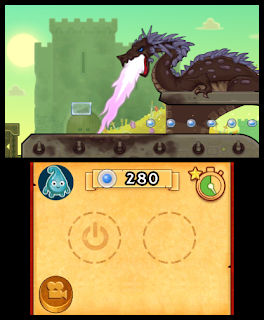 The game is a 2D action/puzzle game that has you poking in words to summon and collect objects. This go around you can even add adjectives to create characteristics to your created objects. For example, a "red gorilla" or a "strong ox." 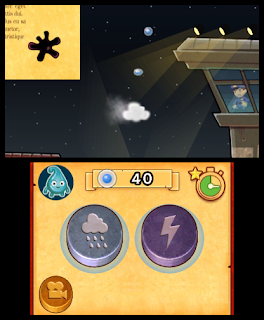 The ability for a player to think of creative solutions to Super Scribblenaut's problems through crafting the appropriate object (and in many cases, objects) is the main goal of the game. The game is just a brilliantly thought out experience that shows that the West is just as on top of things as Japan when it comes to innovative ideas and charm, but then again, let's not do culture wars here. The level editor is much improved, too, allowing for increased functionality. 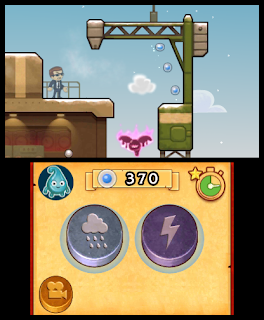 I eagerly anticipate the Wii U and 3DS release of Scribblenauts Unlimited. 5th Cell has proven that they know how to craft a compelling game. And with that we are more than halfway through this list of fifty of what I consider to be the fifty best Nintendo DS games ever developed. Next week we will approach the home stretch with Part Four of this five part series. Do you agree with most of the game selections I've picked? Let me know in the comments section. Complaints and criticism are a huge part of the game industry. We hear and read it from gamers, from the media, and from people on the outside looking in. There isn't a day that goes by where there isn't some kind of point of contention to be found. Capcom, in many eyes, has gone from Capgod to Crapcom (pardon the crude nickname, but I didn't create it) in merely a generation's span. From bad decisions to bad games to bad consumer practices, there are a wide variety of reasons Capcom has made it easy to dislike them. This opinion piece is a brief look at five such ways my stance on the company has soured over the years. After you've read my ramblings, feel free to engage in civil discussion within the comment section below. I hate throwing the word "generic" around like that because the word is so grossly overused nowadays. Perhaps bland would be better? Nonetheless, Resident Evil 4, as awesome as the final product was, turned the series into a more action-oriented affair. With the direction of Shinji Mikami (who later left Capcom), the game had perfect pacing between thrills, chills, puzzles, and scares. With his departure, I believe the team behind the RE series lost their way. The focus shifted to capturing a grander audience, and in doing so, this severed a lot of Resident Evil's fans from the franchise. It's weird because I hold hype for Resident Evil 6. 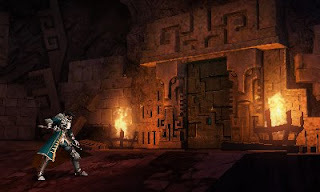 I look forward to trying out as Resident Evil: Revelations gave me hope, as that game had a near-perfect blend of action and finally a focus on survival-horror gameplay. Regardless, Capcom of America were more concerned with advertising Operation Raccoon City, the epitome of selling out to the Call of Duty audience (and another point of contention for former Resident Evil fans), instead of marketing Revelations -- y'know, the game that was actually on store shelves exclusively then. Fans of the old school RE have a right to not like the direction the series is being taken. 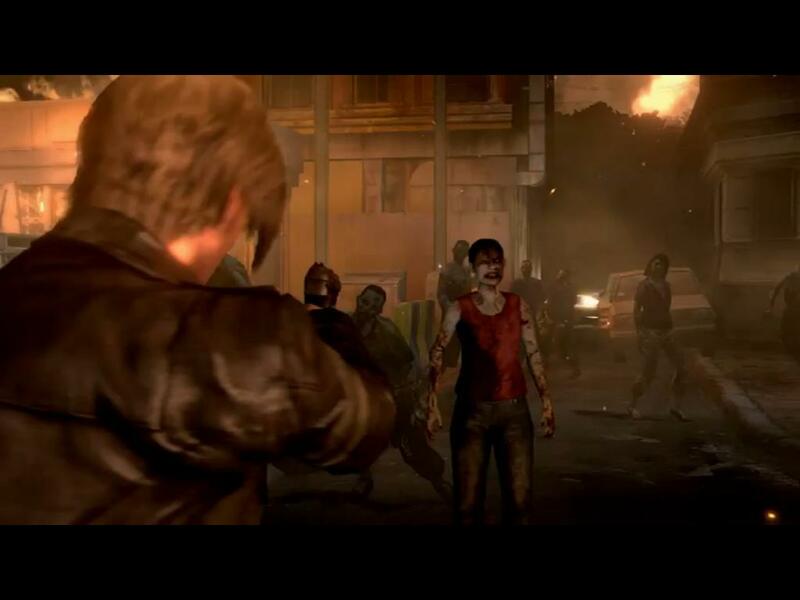 Will Resident Evil 6 return the franchise to its roots? We've heard that claim so many times now that it's getting impossible to take it seriously. It really doesn't matter to Capcom, though, as long as the series continues to sell as well as it does. I have long since gotten over Mega Man Legend 3's cancellation. Yes, Capcom led fans desiring for a conclusion to the series on by allowing them to have input on the direction of the project. Yes, Capcom cancelled the project out of nowhere, leaving the fans with nothing but wasted time and effort. And yes, a Capcom rep tweeted that it was essentially the fans' fault for the project's cancellation. We know all that, and some of us still are bitter. What the hell is that supposed to be? The first time I saw that screen I thought it was a fan-made Game Maker title. I mean, it just reeks of something cheaply put together. 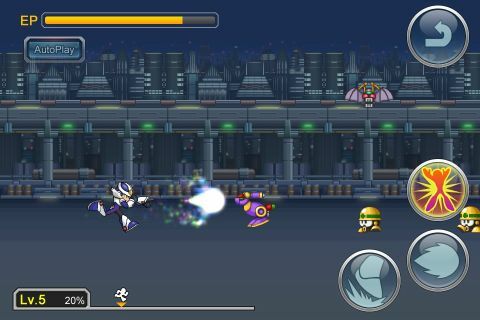 I can't say anything about the quality of the gameplay as it might as well be a perfect adaptation of Mega Man onto a smartphone or tablet. However, first impressions most certainly count, and the impression that I got was not a positive one. This game, Rockman Over (such an ironic title, no? 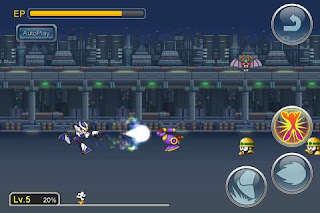 ), is a project that celebrates the 25th anniversary of the Mega Man character, and what it looks like is a Flash game made by a couple students screwing around in their high school programming class. Not exactly how fans wanted Mega Man's 25th birthday to be celebrated. Far from it. "I know exactly how it feels to be lacking a new MH game for a while… patience is a virtue, right? Eventually it pays off somehow… we’ll have something veeeeery soon ;)"
It is not known whether or not the latter comment was in reference to the announcement of the iOS game, Monster Hunter: Massive Hunting, which was revealed a week after that comment. Even if not, isn't it about time we had word on if Monster Hunter 3G was coming to the West or not? Why all the obnoxious teasing and hinting? Why can't anything be said already? Either crap or get off the pot. No more of this wishy-washy nonsense, false promises, false hope, and crushed dreams of fans. And while you're at it, Capcom, how about some localization news once Monster Hunter 4 gets released in Japan? I don't know if "anti-consumer" is the appropriate phrase to utilize here, but that term comes close to my thoughts on this practice. You know when Michael Pachter agrees that disc-locked content is a bad practice that something is seriously wrong. For those unfamiliar with the term "disc-locked content," it is when content is already on the disc, and a player is essentially buying and downloading a "key" to unlock it. The first reaction is "why isn't the content free if I already paid for the disc the content is on?" And that would be exactly right, in my opinion. Capcom even went out of their way to disclose their belief that downloadable content and disc-locked content are basically one in the same. This is stating that any difference between buying content that is already on the disc you own through downloading a key and buying content from an external source to download is zero. Where is the sense in that? There's a tremendous difference. Capcom has stated that they are listening to fan input on the controversy the company found itself neck deep in. We'll see if it sinks into their brains or goes in one ear and out the other. Now, this beef with Capcom is recent, but I haven't forgotten it so bear with me anyway. 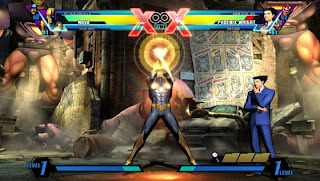 In February of last year I forked over sixty dollars for Marvel VS. Capcom 3: Fate of Two Worlds, a much-hyped fighter featuring a myriad of characters from both Marvel Comics and Capcom universes. I enjoyed the game and many felt it was pretty much a complete experience. Apparently Capcom disagreed because not even a year after the game came out, a new full retail release was hot off its heels, Ultimate Marvel VS. Capcom 3. 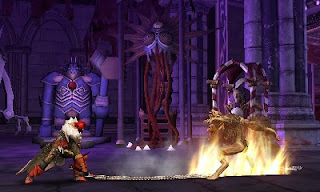 The game fixed a lot of the problems with the vanilla version and added more content. Essentially, early adopters and huge fans of the original MvC 3 got shafted by Capcom. They of course didn't have to buy Ultimate, but if they wanted to go where the fighting game community went (along with many of their friends), they'd have to upgrade. Just another example of Capcom releasing the same game with a few upgrades multiple times for full price. From Mega Man to Monster Hunter, my opinion of Capcom isn't as great as it was in generations past. There's just too much to dislike and not enough return love towards consumers from the publisher to warrant supporting them fully anymore. Regardless, tomorrow is Thursday which means it's time for the third installment of The Top 50 Nintendo DS Games. We'll be halfway through the list of fifty by this time tomorrow, so stay tuned and catch you later! Fresh off the heels of my New Super Mario Bros. 2 review is a special article that will tug at Mario fans' nostalgic heartstrings. 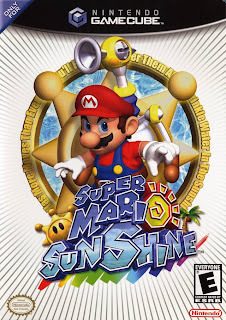 After playing several Mario games over the years, I've had a hankering for enemies of yore that haven't been in a mainline Mario game for seemingly ages. Of course, brand-new creatures are always welcome, but sometimes you just want the old tried and true. This article talks about Mario enemies from the portly plumber's past adventures that I would love to see reappear in a mainline game (i.e. a New Super Mario Bros. game or new 3D title, not a spinoff like Mario Kart, Paper Mario, etc.). It was mighty difficult pruning the amount of baddies I had, but I finally settled on ten to create this list. What old haunts from Mario's history will show up on this list? 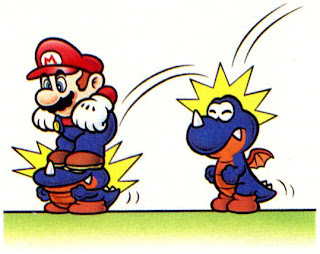 If Reznor can return after a prolonged hiatus, then so can other dinosaur enemies from Super Mario World. 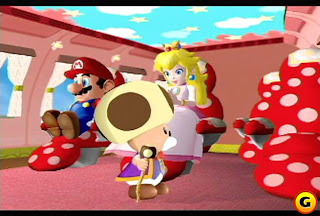 Even though Rex has appeared in the Mario & Luigi franchise and the adorable Super Princess Peach, they have yet to return to a mainline Mario game. 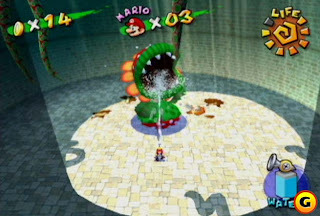 Rex was an enemy that when jumped on once, they would squish down to half their size, moving at a faster pace afterward. 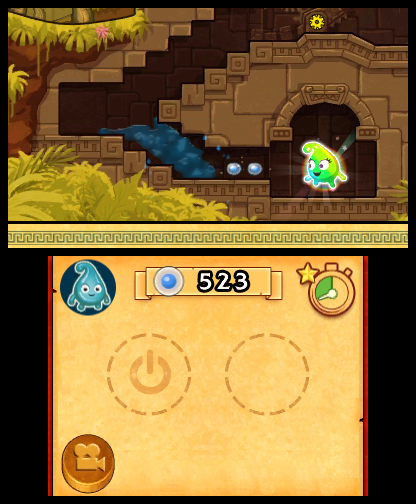 They required two hits or one spin jump to defeat them. And don't mind the wings - they're just for show. 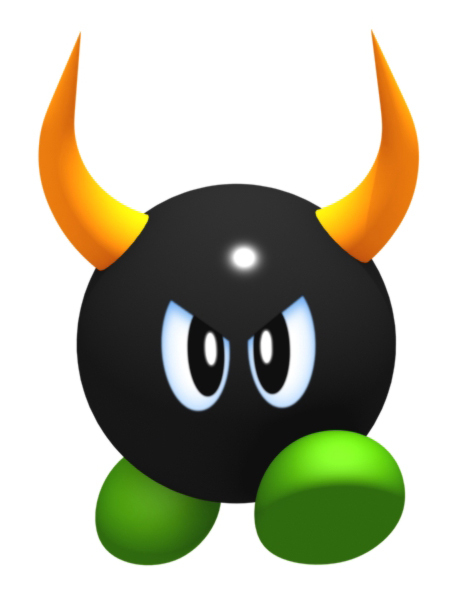 Such an enemy would make an appealing baddie to battle in either a new 2D or new 3D platformer. Oh yes. These rat bastards. 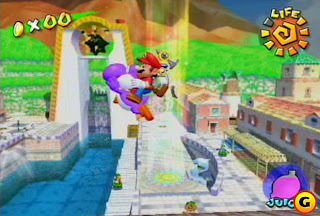 Always sliding around, chasing and colliding into Mario as he slides across the slippery ice. Thankfully, Mario could catch a ride on one as if he so chose. I would imagine these careless foes that would worry more about harming Mario than their actual personal safety (they would constantly careen over the edge into bottomless pits as they made chase of Mario). They'd be perfect for antagonists in icy levels of the next New Super Mario Bros., but this time Mario would have the power of fire on his side. That would even up the odds quite nice like ice. 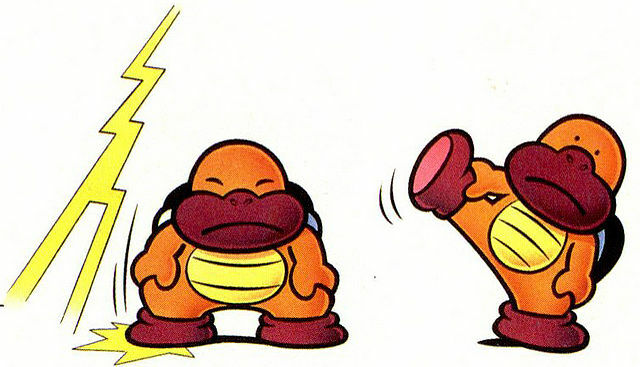 Not to be confused with the heavy set Hammer Brother, the Sledge Bro, Sumo Bros. made their one and only appearance in Super Mario World. They would stand a top question and other forms of blocks, raise up their leg, and smash it down to the ground. When the foot makes contact, a bolt of electricity shoots down below, hitting the ground, and causing a small, contained fire. They could not be defeated through jumping on their heads, however unprotected they are. 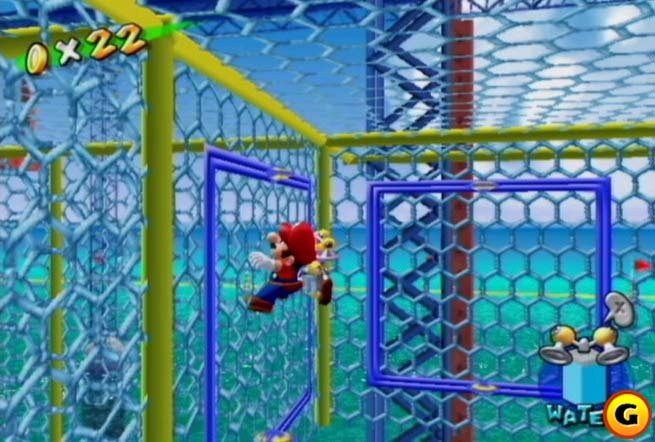 Instead, Mario would have to have Star power, throw a shell, or, more dangerously, hit a block they are standing on from below. In three-dimensions they could still stand such a block, but instead of a fire their sumo stomps could produce massive shockwaves to trip up Mario. 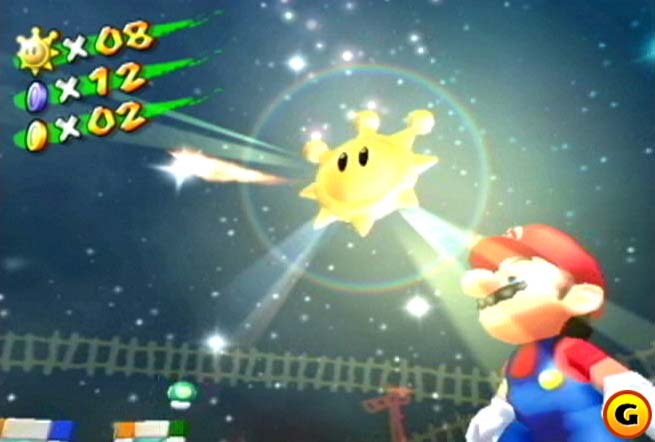 It's a bird, it's a plane -- no, it's a Super Koopa! 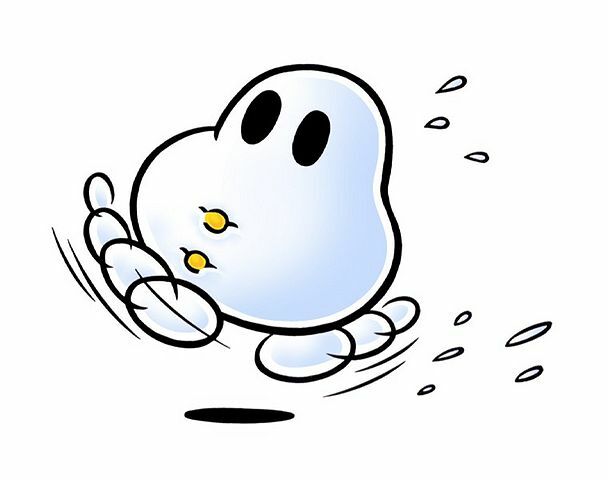 Only appearing in Super Mario World, these anything-but-heroic enemies that had different flight patterns depending on their color. 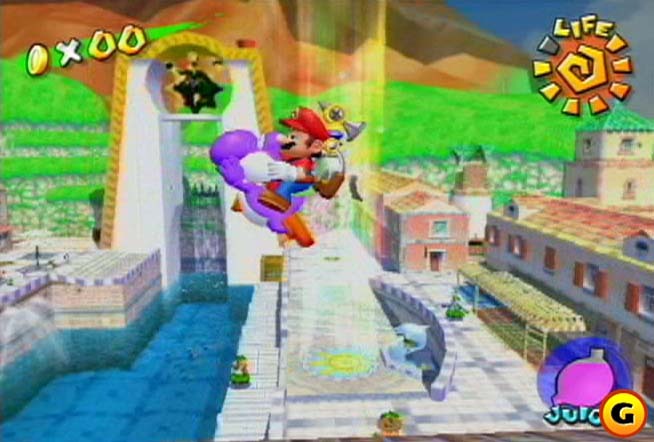 Some divebombed Mario while some darted on the ground before taking off. In some cases, certain Super Koopas would wear a flashing red cape. When Mario jumped on these special Super Koopas, they'd drop a special Cape Feather power-up, giving the plumber an opportunity to don his own cape. If Nintendo ever decided for the much loved cape to return, these foes are a must. 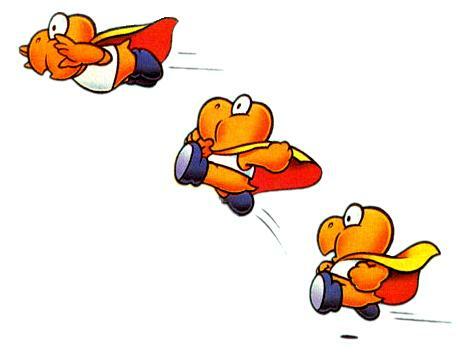 Even without the cape, you were always on your toes when a flotilla of Super Koopas came onto the scene. This enemy is certainly no pushover. In Super Mario 64 the only course of action to defeat Bully and its bigger and badder versions was to push, punch, or kick them off a platform into incineration or a deep freeze. I could see Bully working quite well in a 2D Mario (I mean, it's obvious the foe works in a 3D setting) in a level where there is lots of lava or other deadly liquid, and there are a myriad of Bully enemies all around, trying to push Mario or whoever off into the abyss. A baddie that I would love to battle once more, here's hoping Bully moves out of stealing people's lunch money and back into a Mario game. 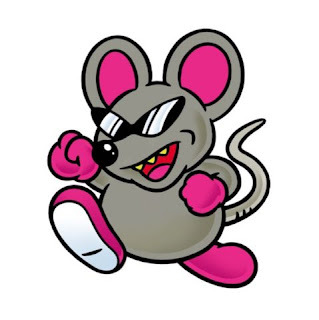 Like a boss because he is a boss, Mouser's not only an explosive fellow, but he's stylish in his shades while doing so. 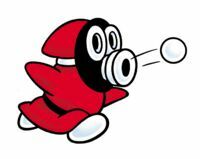 In Super Mario Bros. 2 the goal was to pick up his thrown bombs, timing the throws just right so they blew up while Mouser was close. I can only imagine how such a battle would take place in current times. Like a lot of the cast of villains from Super Mario Bros. 2, Nintendo seems defiant in allowing Mouser another chance to shine. It's a shame as he was one of the better boss battles in memorability in the game, perhaps because he was the first, but still. We saw Shy Guy represent his clan as an unlockable character in Mario Kart 7. He's also appeared in numerous Mario spinoffs after his tenure in Super Mario Bros. 2 and Yoshi's Island. 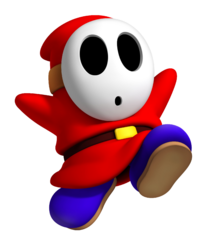 In the former, they walked like a turtle, but the current form of Shy Guy is a bipedal creature. Who knows what lies beneath that creepy mask? Is it a face that's even creepier than the mask that covers it? Who knows? All I do know is that I'd love to see Shy Guy cause Mario trouble in 3D form -- you know, when he's not attending one of Mario's various parties. 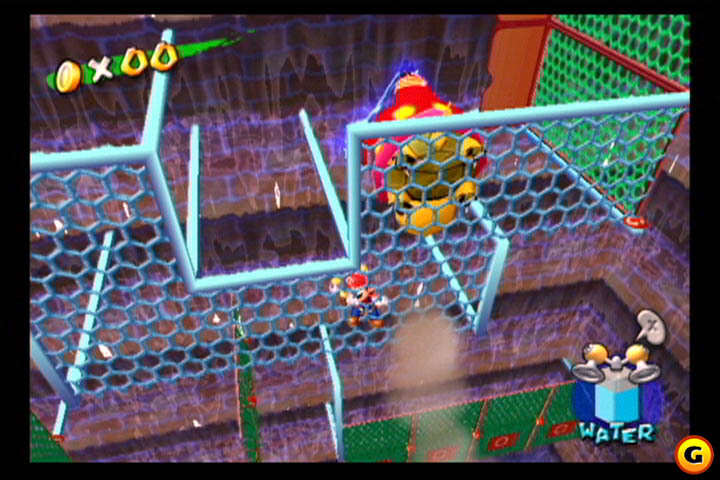 The last time we saw a Snifit was in Mario vs. Donkey Kong: Mini-Land Mayhem! in 2010 on the Nintendo DS. 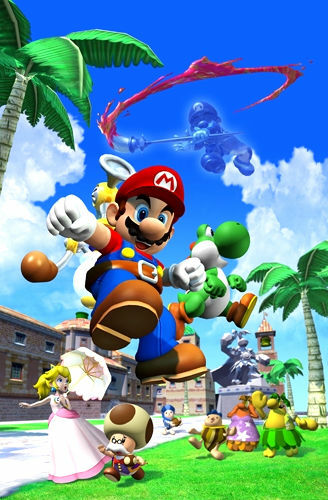 They appeared in the Yoshi's Island series of platformers, but their last showing in a traditional mainline Mario game was Super Mario Advance (a mere port of Super Mario Bros. 2). I put Snifits above fan-favorite Shy Guy because Snifits have the better capability of firing shots out of the hole in their masks. Can you imagine this baby in a New Super Mario Bros. game? 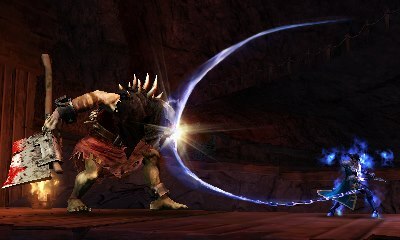 Forget dodging fireballs from Piranha Plants, a Snifit's shot is like Usain Bolt in comparison. 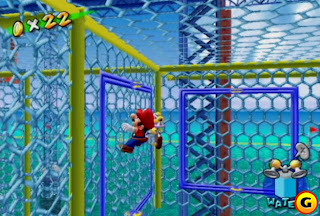 Even in a 3D Mario a Snifit could be an daunting proposition, as they turn and fire on Mario as he madly runs about. There are numerous foes from Super Mario World that I would love to see make a return in a Mario game, but Chargin' Chuck leads the charge, sprints to the end zone, and scores the touchdown. 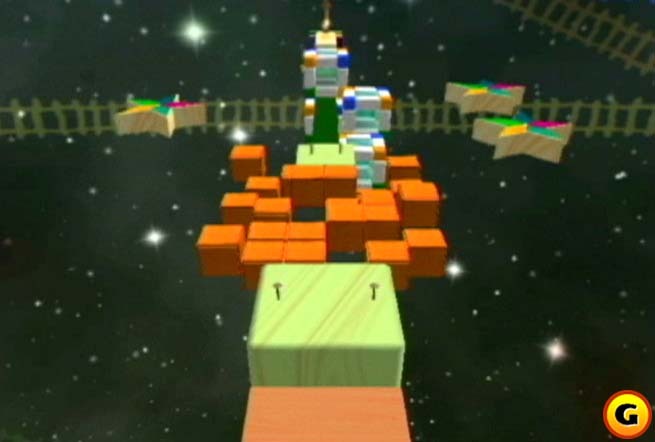 They were quite rare for a 2D Mario game in the regard that they required Mario or Luigi to jump on their head multiple times to defeat them. They also dabbled in multiple offensive strikes. Sometimes they threw baseballs (oh, the agony of the Special World's Tubular), sometimes they kicked footballs, and sometimes they split up into three and simply lived up to their namesake and charged at their intended target. 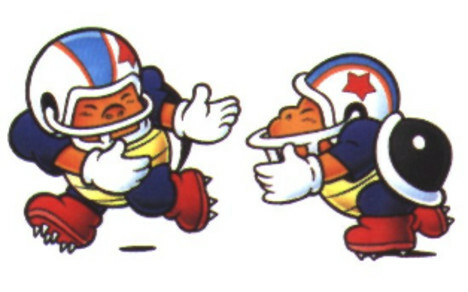 There's so much that Nintendo could do with these guys, and I'm saddened to see they have been on the disabled list since Super Mario World. 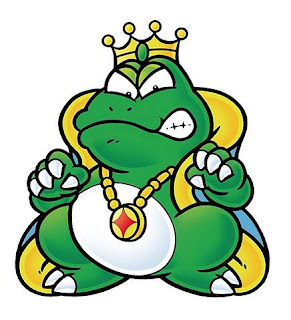 Proving once and for all that too many vegetables are bad for you, Wart was the final boss of Super Mario Bros. 2. To defeat him, Mario, Luigi, Princess Peach, or Toad needed to pick up turnips, radishes, and other healthy treats and chuck them into the mouth of the over-sized frog until he finally croaked. Wart is unlike most characters on this list as I'd just like to see him acknowledged by Nintendo and placed in ANY Mario game, spinoffs included. Put him in the next installment of Mario Kart or add him to the Super Smash Bros. roster, and a whole new legion of fans will worship this ruler. Putting together a list of just ten was tough! I had the idea of just doing a regular article of fifteen, but no, I couldn't be greedy. Regardless, what did you think of this list? Did your favorites show up? 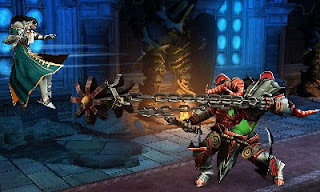 Did you see an enemy that you had completely forgotten about? Feel free to rattle off some of your most liked Mario baddies. Are they so bad to the bone that they are good?